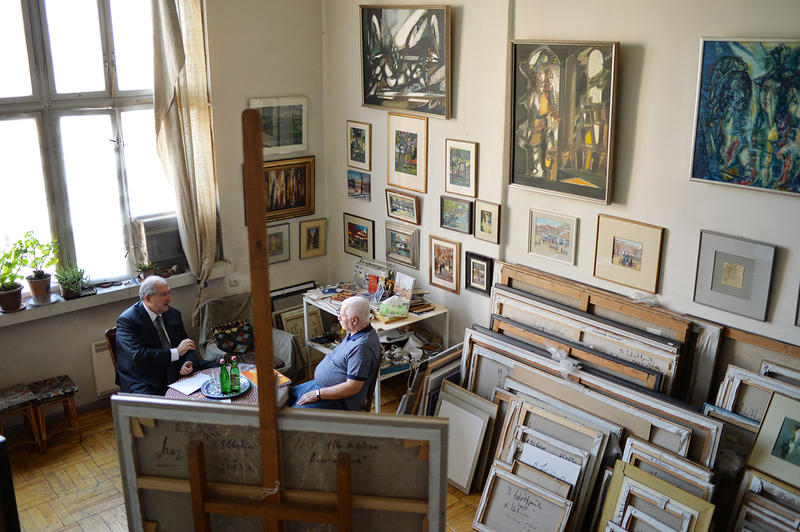 In the evening of July 20, President Armen Sarkissian visited the studio of the RA People’s Artist, Laureate of RA State Award Robert Elibekian. 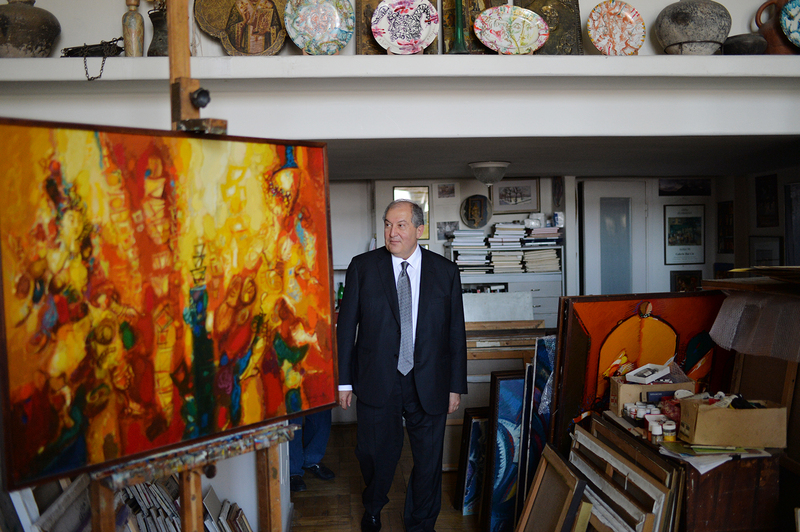 Armen Sarkissian observed the works of the master, noted that he is a worthy follower of the Elibekian family artistic traditions. 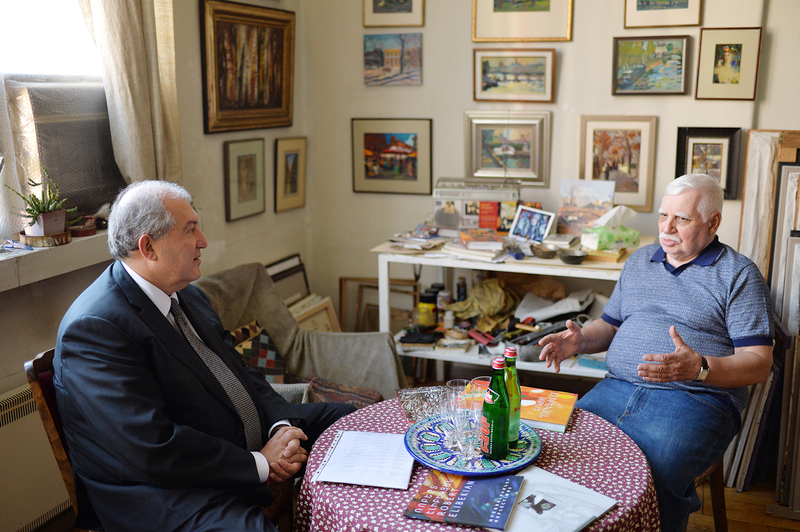 The President conversed with the renowned artist on this theatrical works, history of the Armenian arts and prospects of development.